London-based grime/urban MC AKA Richard Kylea Cowie. Since 2004 includes "Treddin' on Thin Ice", "Playtime is Over" and "100% Publishing". Big hits include "Wearing My Rolex" and "Never Be Your Woman". 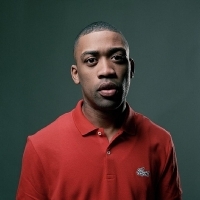 Wiley won a 2013 MOBO award in the "Best Male" category and was awarded the inaugural "Paving The Way" award at the 2015 MOBO's.